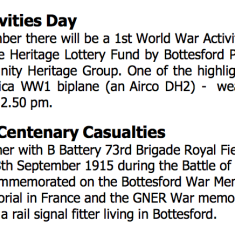 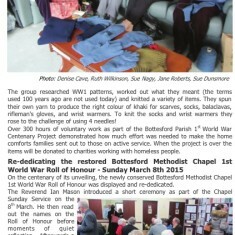 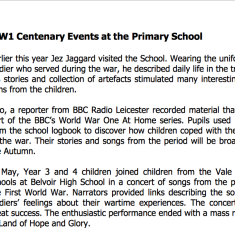 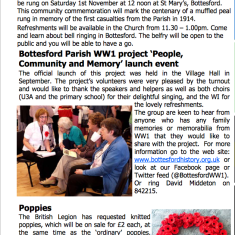 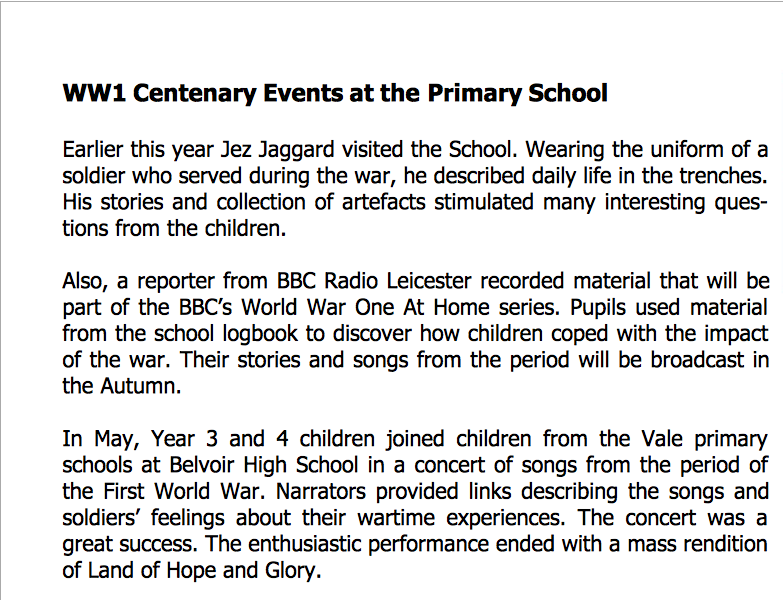 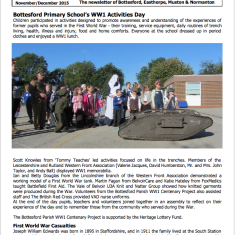 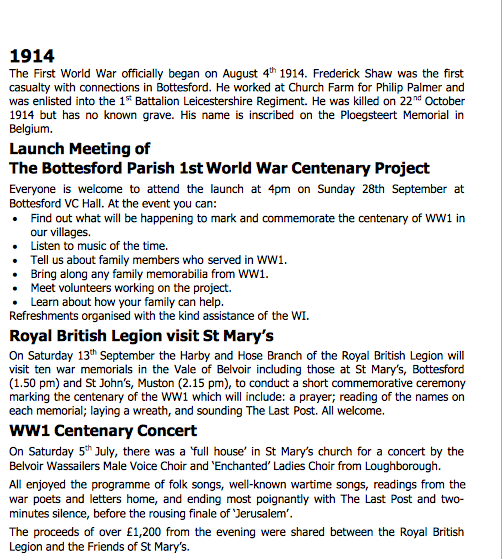 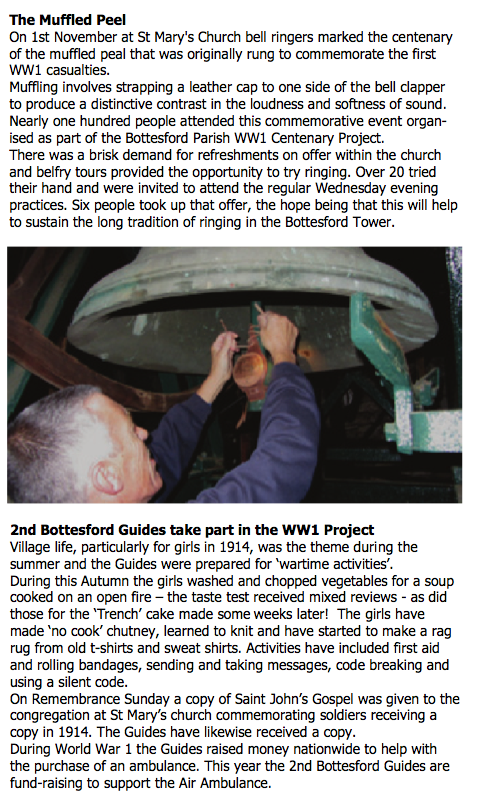 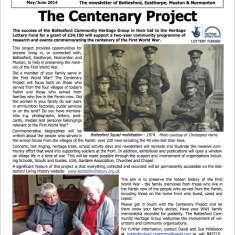 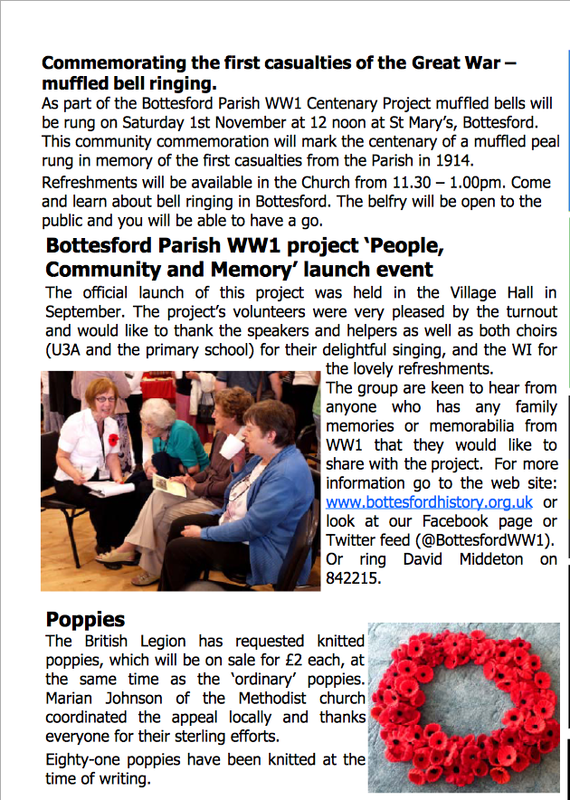 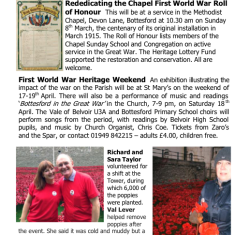 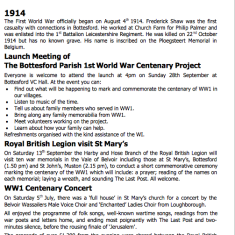 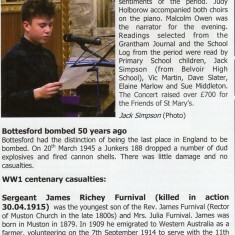 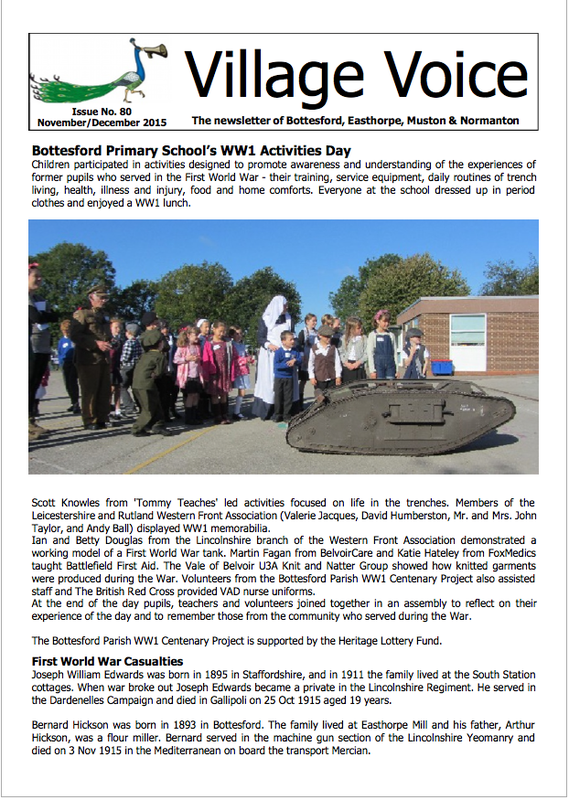 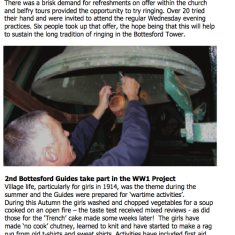 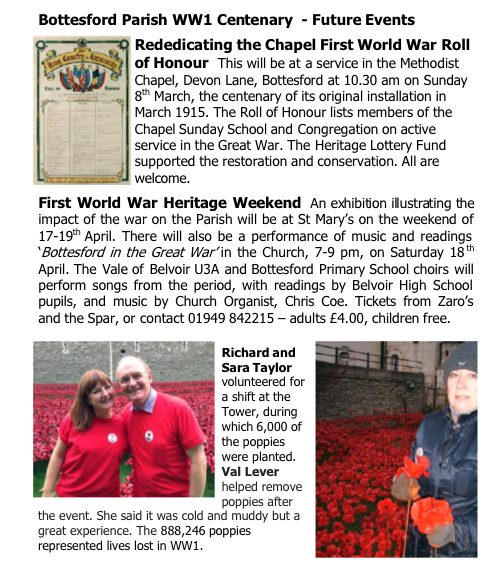 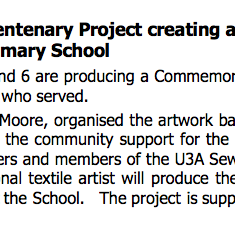 Bi – monthly bulletins from the Bottesford Parish WW1 Centenary Project kindly published in the Bottesford Village Voice. 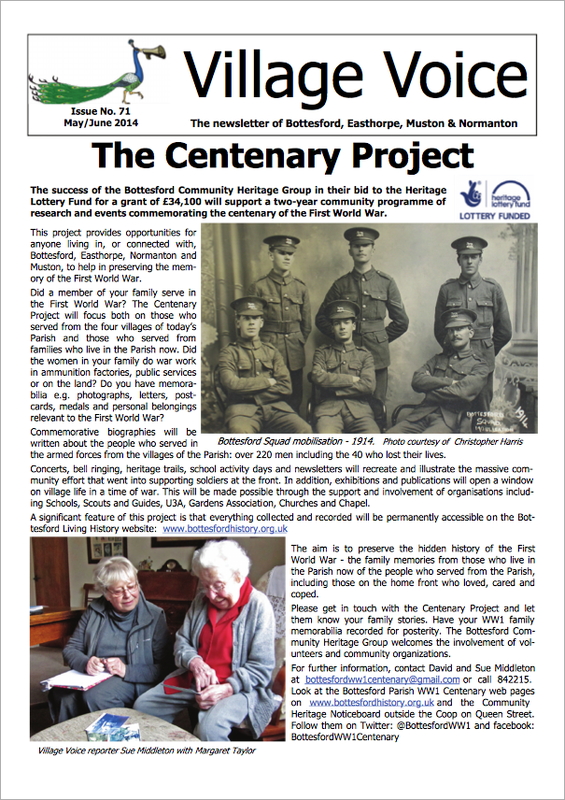 The Village Voice is distributed to all 1800 households, shops and businesses within the Parish. 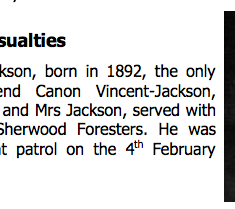 This page was added on 19/12/2014.